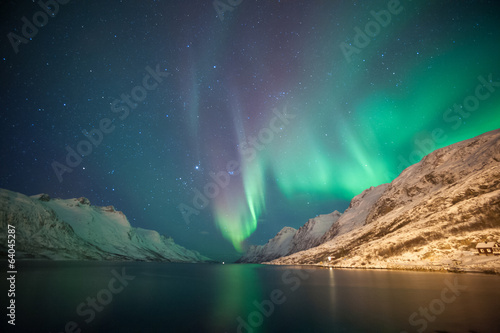 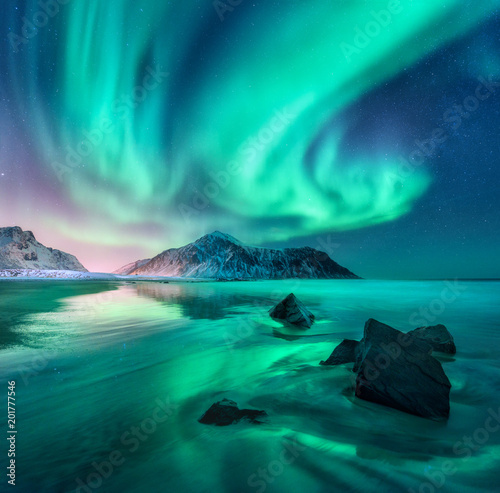 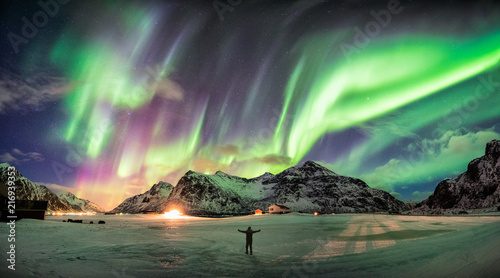 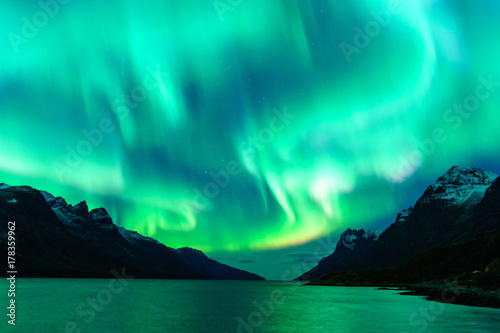 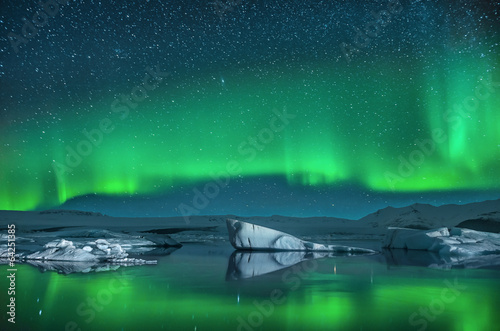 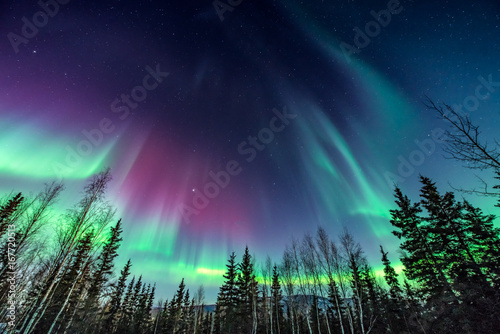 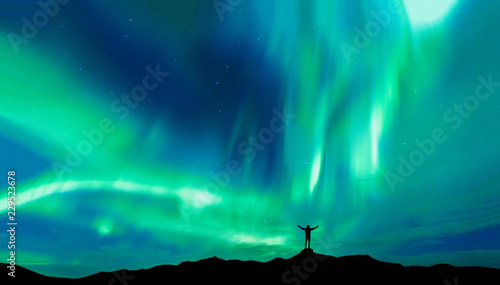 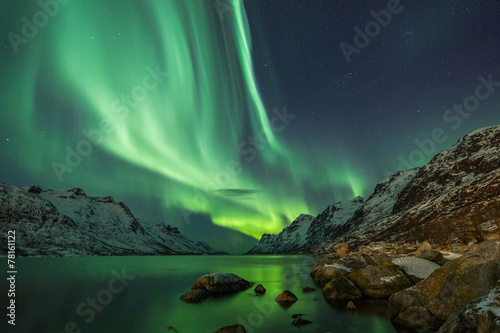 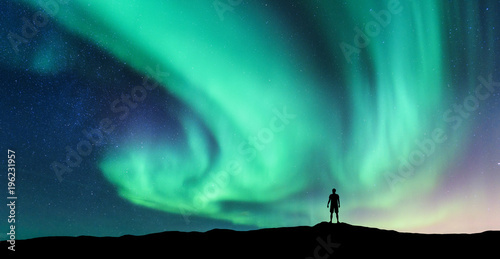 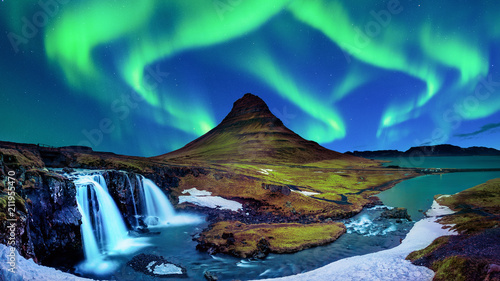 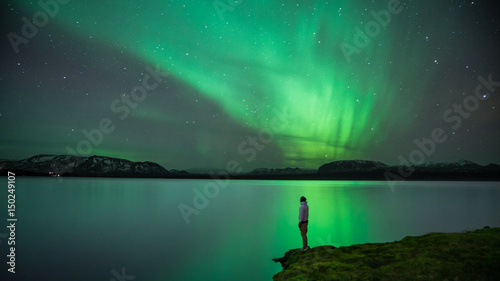 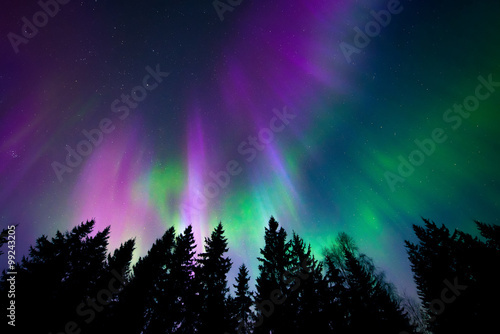 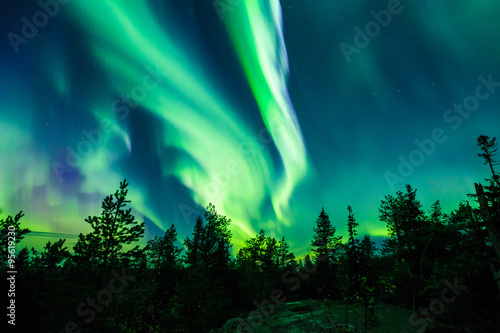 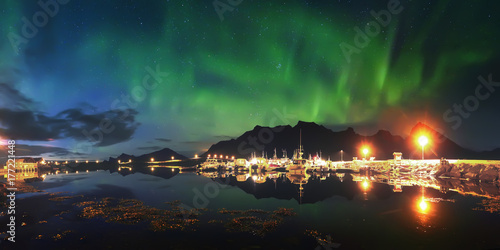 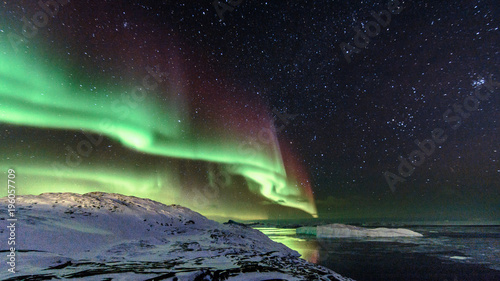 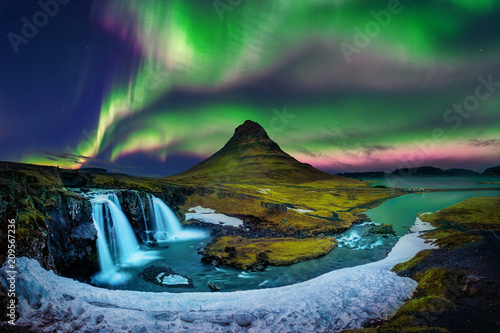 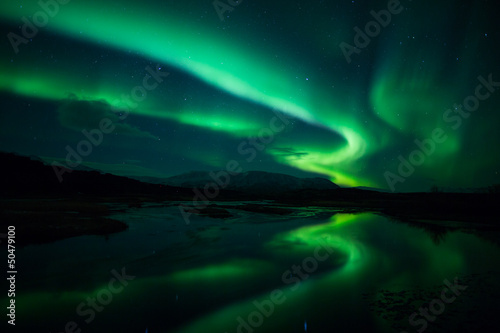 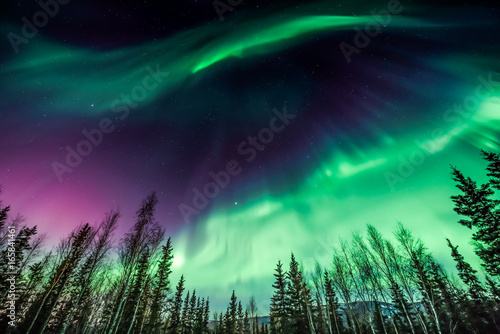 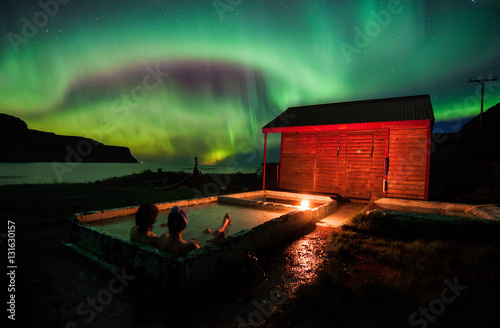 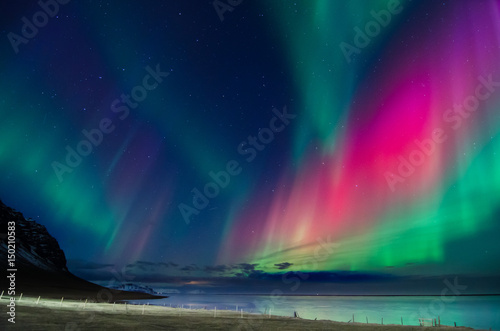 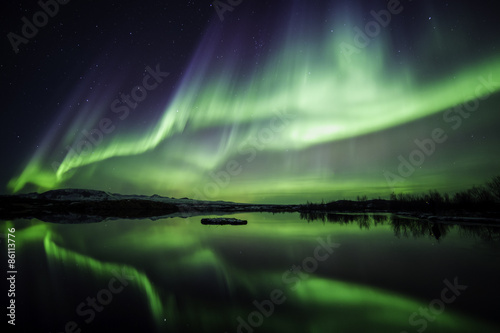 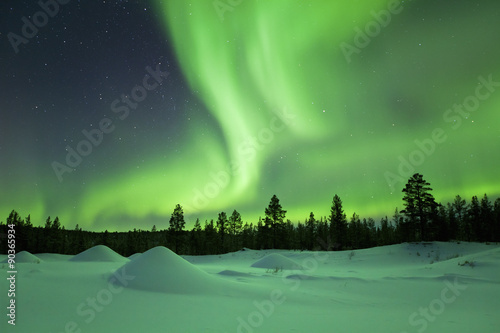 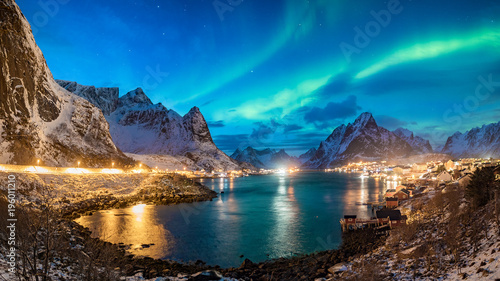 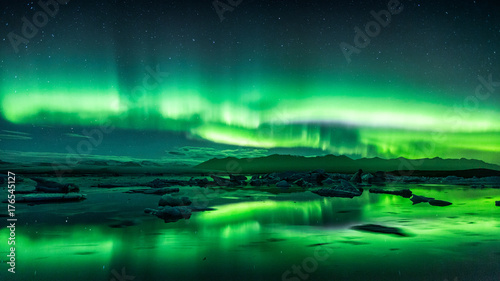 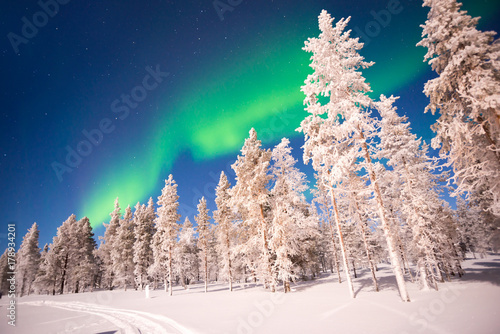 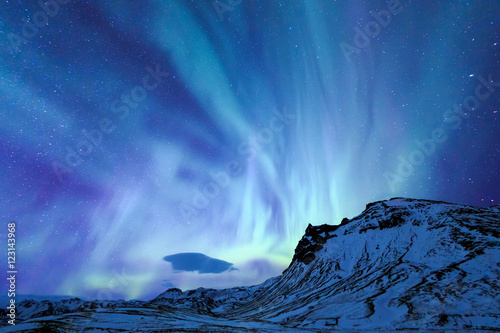 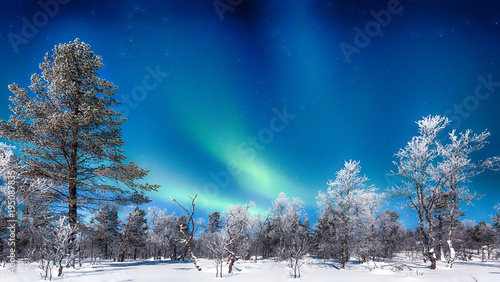 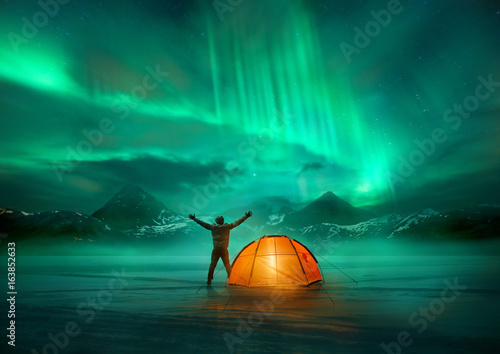 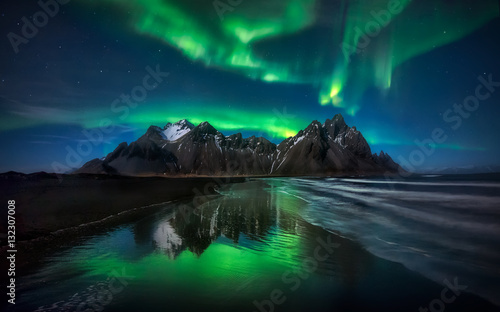 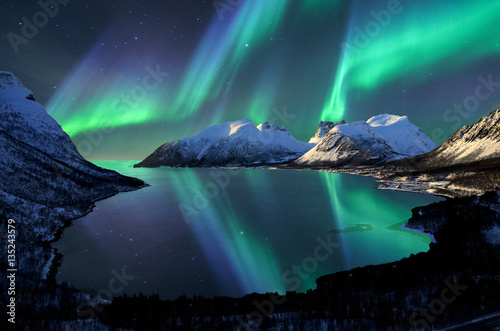 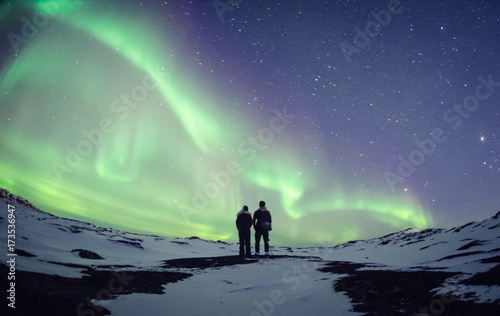 A man camping in wild northern mountains with an illuminated tent viewing a spectacular green northern lights aurora display. 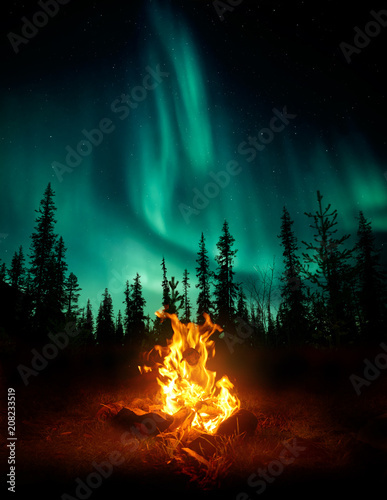 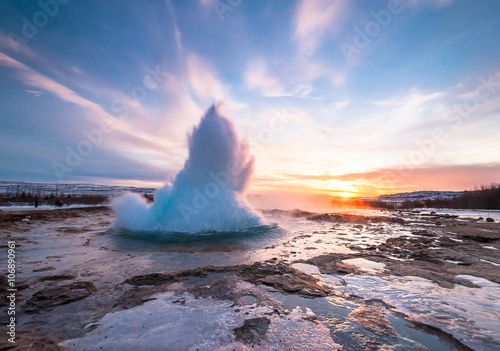 Photo composition. 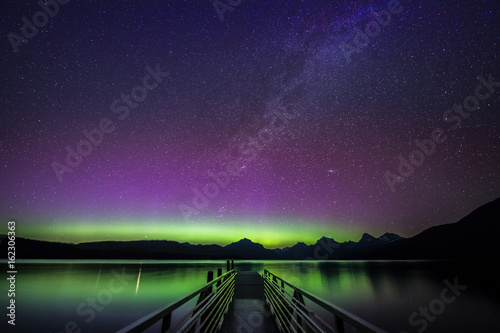 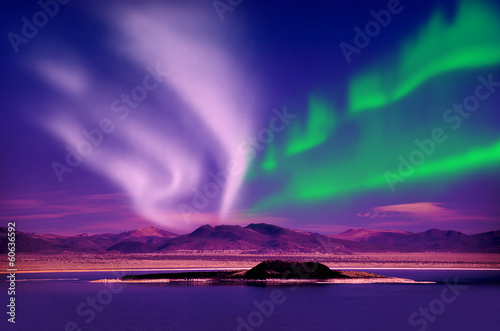 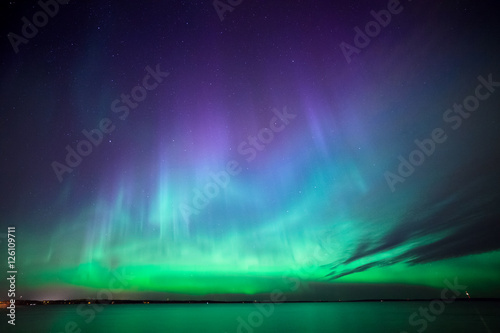 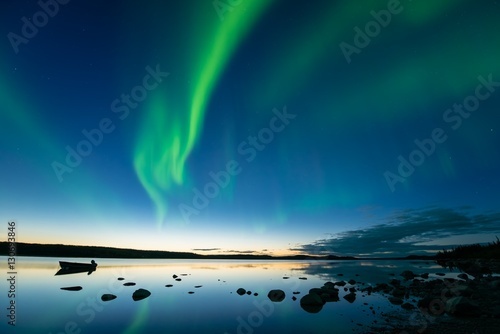 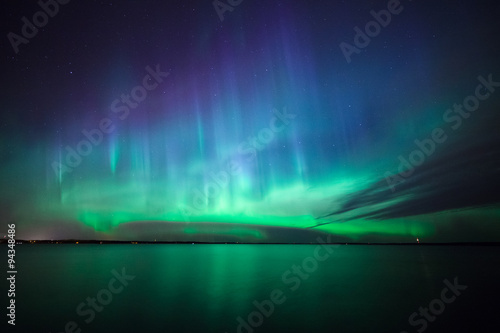 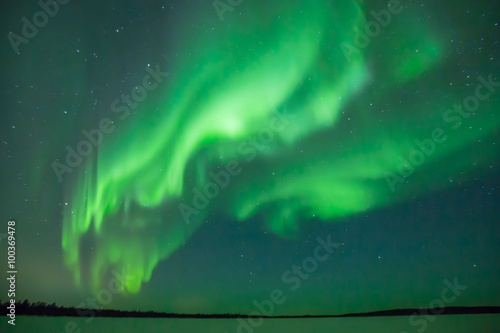 Aurora at Dusk - Bands of curvy aurora borealis appear over a northern rocky lake right after sunset. 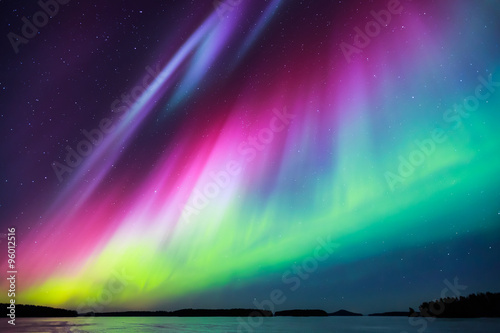 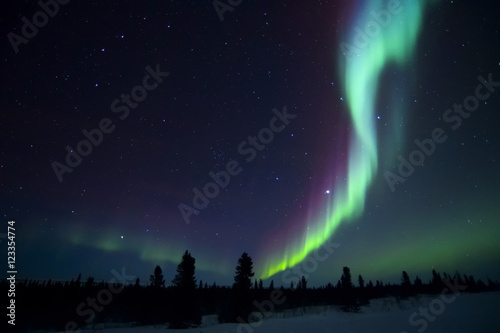 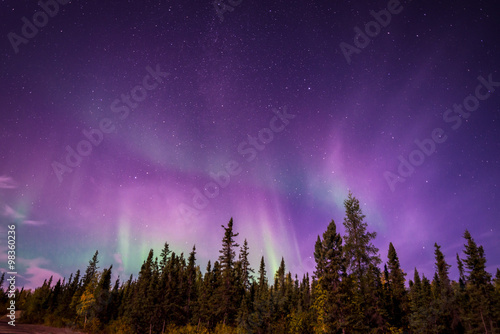 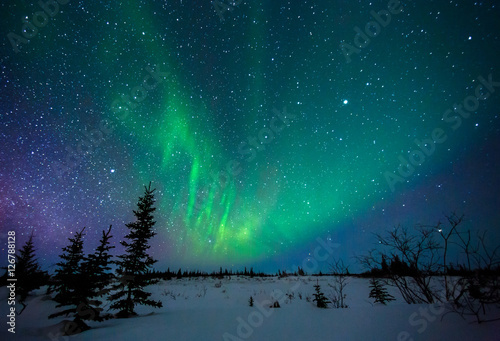 The amazing night skies over Yellowknife, Northwest Territories of Canada putting on an aurora borealis show.